"Learn To Smock with Laurie via her many online SMOCKING E-CLASSES. Check them all out! We highly recommend them to everyone, even the most advance smocker"!!!! 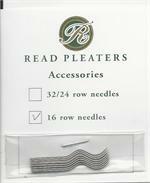 The Read Thread Caddy fits the 24-row and 24-row MAXI Read Pleaters. 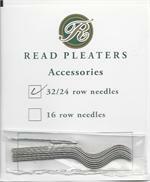 The Read Thread Caddy is made by a local gentleman, who's work is second to none. Perfection! 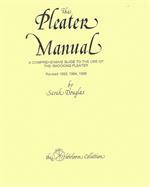 Pleater Manual 72 pages of how to pleat and how to pleat every type of project you can imagine! 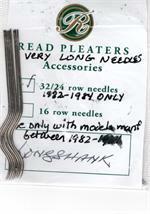 AUTHENTIC READ NEEDLES 16-row pleaters ONLY, 12 needles per pkg IN STOCK ANY DAY!